Crabpot Cottages, quality cottages in Norfolk, is owned by myself, Penny and my husband Mike. 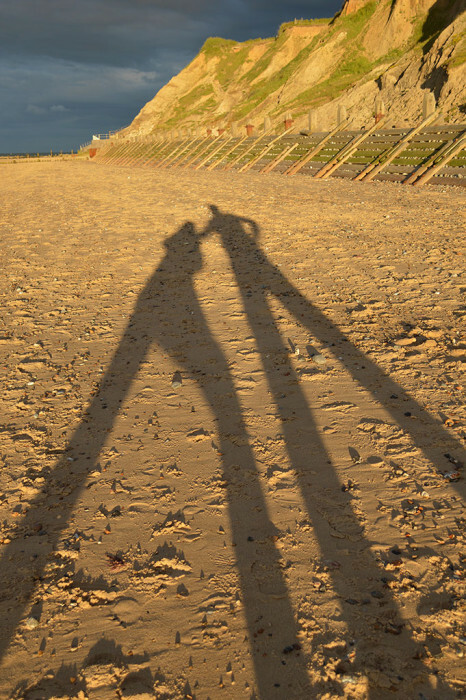 I am a Norfolk girly through and through and have slowly converted Mike, a Leicester lad, to the joys of living in this incredible landscape of salt marshes, crumbling cliffs and beaches. I have worked in the property business for over 15 years and nothing excites me more than buying a wreck of a house and transforming it into something to be proud of. I have renovated a run down old cottage, designed and built a large 5 bedroomed house, project managed a renovation of a 1930s house in Hunstanton and refurbished over a dozen other properties. In later years I have worked as Property Manager for Norfolk Hideaways, a holiday home agency based in Wells-next-the-Sea, being responsible for taking on new houses, a job that gave me the keys to some of the most beautiful and unique properties on the coast. Mike’s background is in business with over 35 years experience. His attention to customer service and detail is second to none. He is also now extremely handy with a wall paper stripper and a sledge hammer – something he has told me he never thought he would be doing. Together we created Crabpot Cottages, based on our extensive joint knowledge of the Norfolk market and great customer service. Our aim is to give you the best holiday experience, we only market houses we would stay in ourselves. We do not charge booking fees. We always try to give you the best service we can, we know your holiday is one of the most important purchases you will make this year. Nowadays, if we are not wall paper stripping or ripping out a house we can be found BBQing on the beach in Overstrand in all weathers, or sitting on the bench overlooking the cliffs with a glass of wine. We both play golf and love the challenge of the links courses at Cromer, Sheringham and Hunstanton. We both adore the beach and the sea and cannot imagine living anywhere else. Do you have a holiday home you are marketing yourself, or through an agency? Are you tied down with onerous contracts and restrictions? Do you feel you are not getting the exposure your house deserves? Have you become ‘One of Many’? Are you paying high commission for little service? We have just opened our first office in the beautiful seaside town of Sheringham at 15 Co Operative Street. Please feel free to pop in and have a chat about your house. Having had extensive experience in both letting our own North Norfolk holiday cottages, achieving above average lets, and marketing other people’s second homes for the past 3 years I feel confident Crabpot Cottages can provide holiday home owners with the level of service and commitment that the larger agencies cannot. If you would be interested in letting your home through us please do get in touch for an informal discussion. We are looking for cottages in Norfolk along the coast and inland.